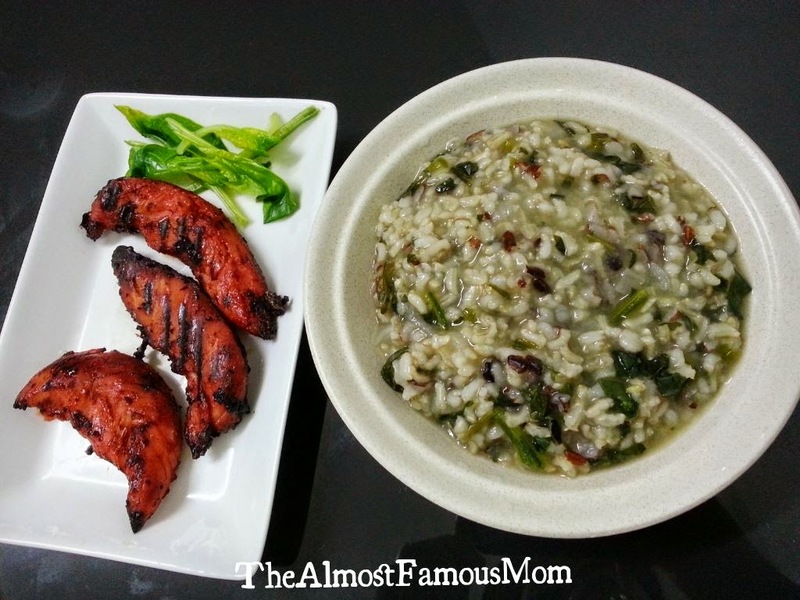 A very simple and nutritious lunch for my darling boy - Wholegrain Porridge with Spinach and AirBBQ Chicken Char Siu. 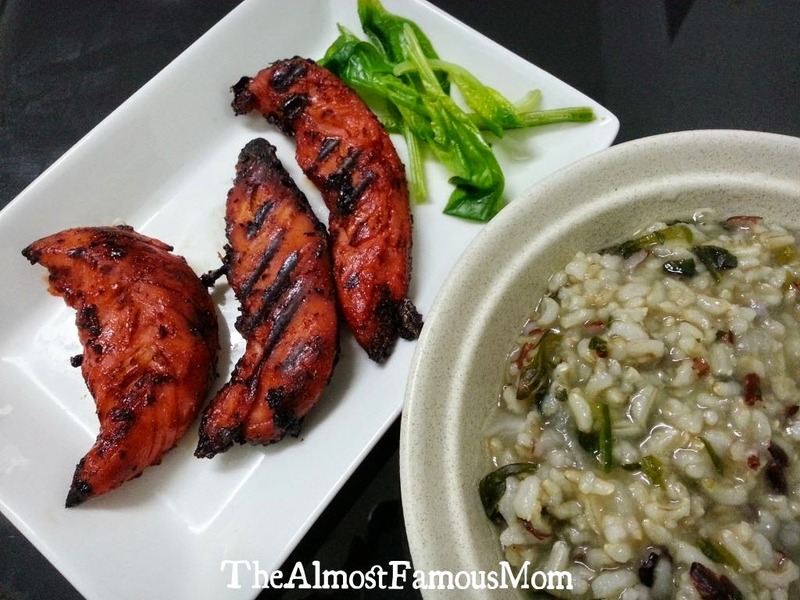 I was over the moon when he said "Good" after taking the first bite and he finishes the bowl of porridge and the AirBBQ Chicken Char Siu all by himself! 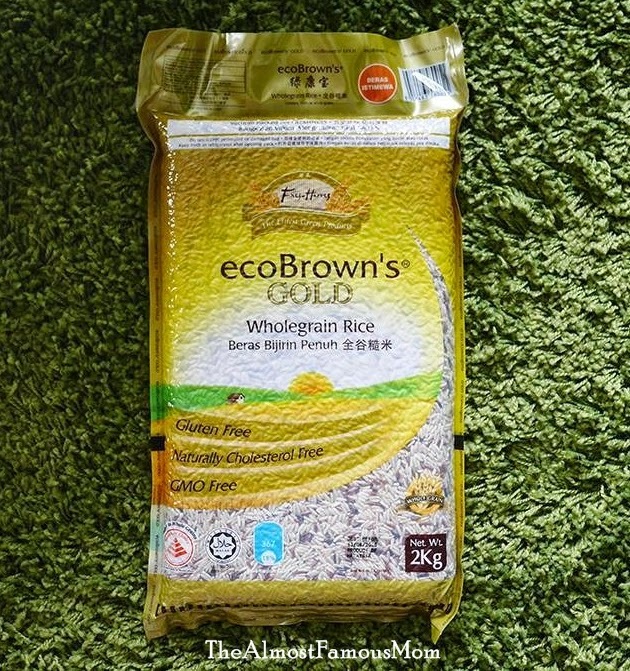 I used ecoBrown's Gold Wholegrain Rice in making the porridge. 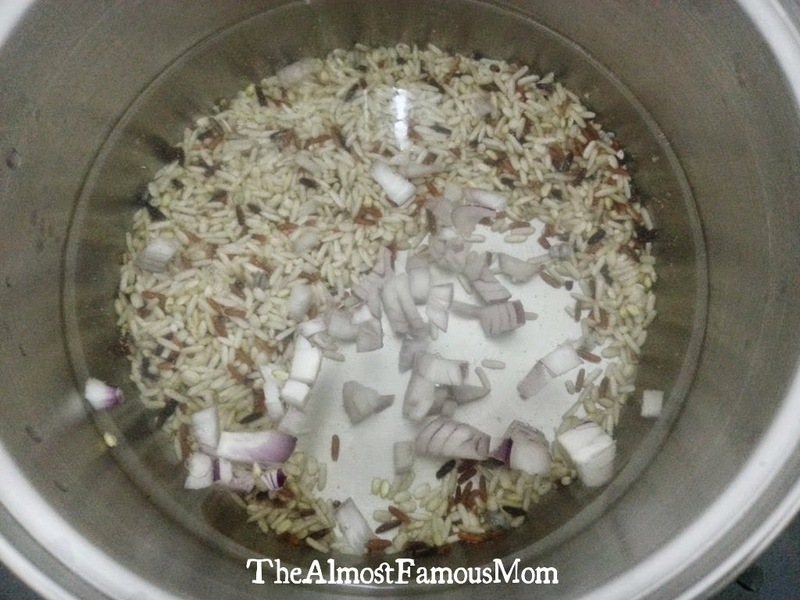 Prior to cooking the rice grains I usually soaked it for about 8 hours (after washing) and then pop the soaked rice grains into the freezer. Few hours before cooking the porridge, you just have to defrost the rice grain and then you can continue to cook porridge the usual way (I used a little bit more water for this rice grains). Now you might wonder why I soaked my rice grains before cooking. Soaking makes grains more digestible as it breaks down some of the trickier proteins and neutralizes things called phytates, which inhibit the absortion of other important nutrients like calcium, iron and magnesium, to name a few..LOL! And by freezing the soaked rice grains will help the grains to expand and it cooks quicker too! 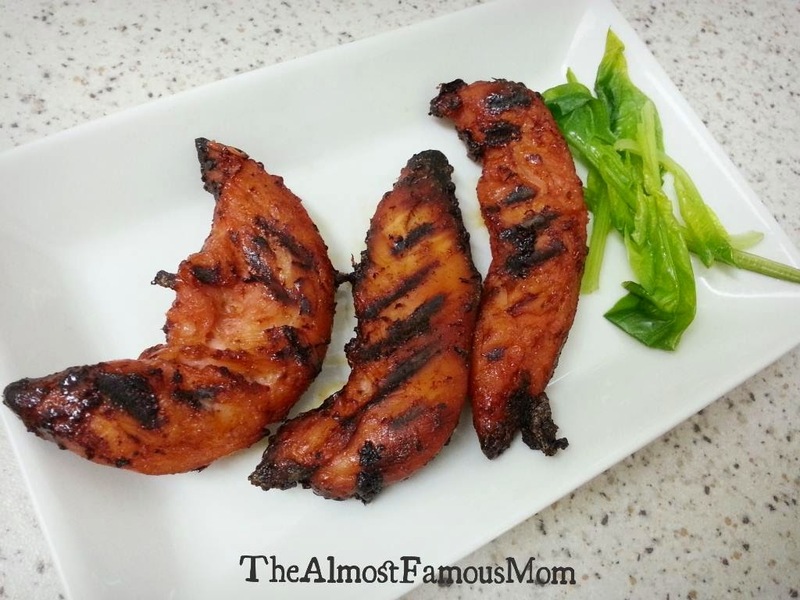 And here is the recipe to the AirBBQ Chicken Char Siu .